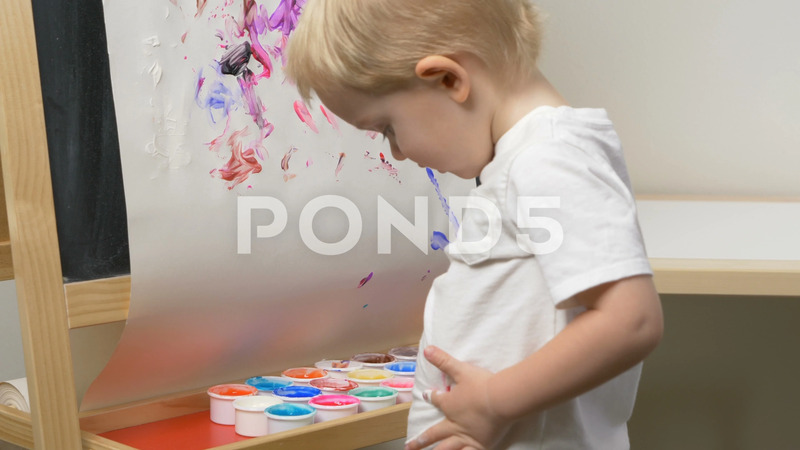 Description: Cute little boy (toddler, two years old) is painting on tee. Washable finger paints for Babies Kids, art, creative. Dirty cloth (t-shirt), washing laundry concept.